The Oprah Winfrey Leadership Academy for Girls in South Africa opened in 2007 with 150 low-income seventh-and-eighth graders, the school now enrolls about 300. 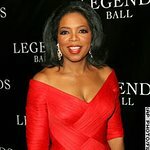 The first senior graduation will be in 2011 (and Oprah already has her outfit picked out). Google trends for "Oprah Winfrey Leadership Academy for Girls in South Africa"
We don't have any videos related to Oprah Winfrey Leadership Academy for Girls in South Africa.